There appears to be conflicting views about the health of the high end homes market in Tallahassee, though there is general agreement that high end homes are selling as well as they ever have (21 $1M+ homes sold in the past 12 months). The two points of contention are about time and money, specifically, how long has it been taking million dollar homes to sell and what are the sellers receiving at the closing table. The truth might just shock you. We start with a list of all the high end homes for sale that are priced above $1M, and then move to an in-depth review of how this segment is faring and how it will impact Tallahassee's real estate market. 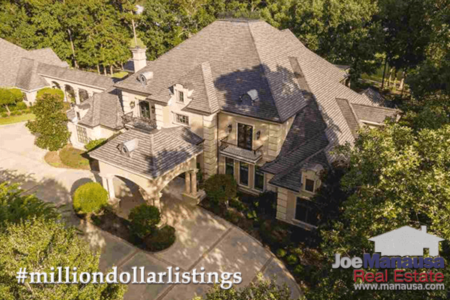 The following list of homes priced from $1M and higher is direct from the Tallahassee MLS. The worst thing you can do when preparing to sell a luxury home or buy a luxury home is to proceed based upon incorrect information. While our MLS system is loaded with great information, much of it is overlooked by agents for various reasons. Additionally, most real estate agents use reports that come directly from the default settings in the MLS, they simply do not dig very deep, and thus provide guidance that is not valid, as you will see below. MLS systems are designed for marketing purposes, not for data analysis and precision. Thus, there are a lot of circumstances, combined with user manipulation, that skew reports to show that homes are selling faster and for a higher percentage of the sellers asking price. This is important to understand if you are relying on your agent's valuation and represented market time to plan your next move. As you will see below, there have been many luxury home sellers who got far less than they were expecting when they listed their home for sale. 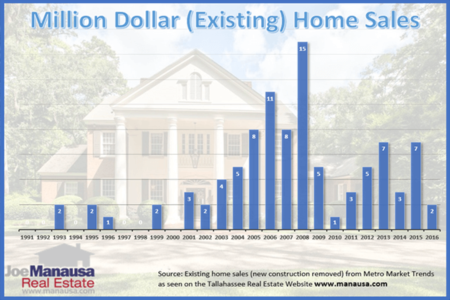 How Long Does It Take To Sell A Million Dollar Home In Tallahassee? 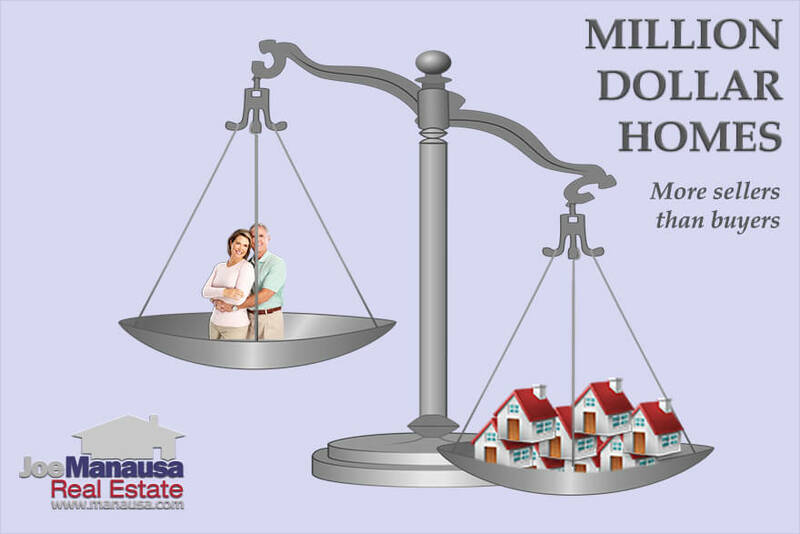 I recently read a real estate agent's opinion article in the Tallahassee Democrat stating that million dollar home sellers are getting 92% of their asking price in an average of 75 days (for 2018). Let's take a deep dive of the data on million dollar homes listed in Tallahassee. Conclusion: Sellers (that succeeded) received 25% less than their first agent told them they'd get, and these homes took nearly two years to sell. This is a far cry from the "92% after 75 days" as opined in the Democrat! Beware of false promises. Considering there are 33 months of supply of million dollar homes (nearly 3 years worth! ), this is an EXTREME buyers' market and the following information shows how tough it is for these sellers. The following list was produced by digging through the MLS in order to determine just how long some of these homes have been for sale. It includes original asking prices, the number of companies that have been employed to sell them, and the current asking price. You'll immediately see that million dollar home sellers ARE NOT getting 92% of their asking prices. The first thing that jumps out to me is that there are homes on this list that have been around for a while. The longest is 11 years, but there are quite a few that have been on the market for more than 5 years. Certainly not the market conditions one would expect if million dollar homes were selling in 75 days! The following table shows the million dollar home sales that have occured since the beginning of 2017. It includes the original asking price, the true days on the market (from the time the seller listed the home until the day that keys were given to the new owner), the percentage of original asking price received, and finally the number of listing companies the seller hired before the home eventually sold. When you look at the table above, you see one seller went through FIVE (5) real estate companies before a sale was finally procured! Sellers did not receive 92% of their asking price ... they actually received 75% of the amount they wanted. These homes were not sold in 75 days either! In fact, the average time between listing and selling for these homes was one year and nine months (639 days)! Ouch! The message is clear for million dollar home owners. Don't be so entralled with what the first agent tells you your home is worth, demand to know more information. Do you really want to list with somebody who will not get your home sold? What About The Luxury Homes That Failed To Sell? The following million dollar homes were marketed for sale in the MLS but never sold. At the writing of this report, they have not yet been relisted. I suspect some have given up on moving, but you can bet many of the others still want to sell. These homes are the "shadow inventory" that add to the over-supply of million dollar homes. So How Did One Agent Get This So Wrong? The conclusions and summaries provided in the Democrat article referenced above came from the Tallahassee MLS, the same source that provided the information for our tables in this article. If an agent does not thoroughly research a property, grossly inaccurate reports will be the end result. In order to better illustrate this, let's look at a specific home sale and observe how it can be incorrectly reported. B. The asking price with a second agent nearly three years later, a full $200K less than this new agent initially agreed to market the home. C. The price a buyer was willing to pay. The house shown in the screenshot above was sold in 2017 for a price of $1M. If this is used for market research, the "final" listing would report that it sold in 114 days for 91% of its asking price. But did it sell that fast? Did it sell for 91% of the seller's asking price? No! When one takes the time to research the property accurately, we find that in fact it has been marketed at a much higher price and for a much longer period of time. One company was hired to sell the home as early as May of 2014, but they were not able to sell it. Notice they put it in the MLS twice. Each time a property is listed, the "clock" starts over. Agents often do this so that properties do not appear "stale." A second company was hired in 2016, and this company reset the market time clock numerous times. The final listing period, the one in which it sold, began at the end of November in 2016. The property closed in May of 2017. This means that when reports are pulled, like the one that provided the erroneous conclusions on market time and percentage received, this home is improperly impacting the results by a significant margin. Instead of showing a period of 114 days at a price that is 91% of the asking price, the reality is that this seller received 63% of their initial asking price after nearly three years on the market! There is good data in the MLS, but the automated reports that are produced from its data can often be flawed. The example shown above is not unique, rather, it is the norm. Agents know they can manipulate the apparent "time on the market" by shutting down a listing and creating a new version. While this is mostly a waste of time, I have certainly done this myself in the past (and will do it again if I believe it will help my home seller). 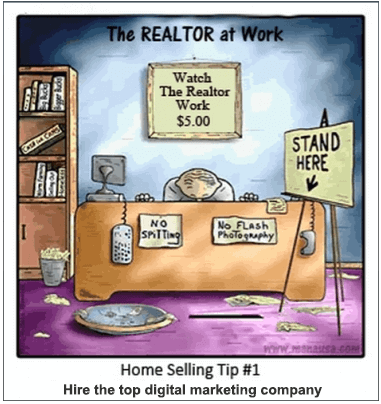 But buyers aren't stupid, and this one "trick of the trade" is heavily over-used. There are some agents who shut down and restart their listings weekly, and often times (at first blush), it looks like they sell homes very fast and for top dollar. But those of us who take the time to properly research the market know better. First and foremost, you should work with a real estate agent that will give you honest and accurate information so that you can make an informed decision. While it is true that more high end homes are selling now than at any other time in Tallahassee, the combination of market time and the percentage of asking prices above should make you realize that buyers are getting great deals right now, and sellers are taking a loss. Think of all the sellers that tried for years and failed. Add to that the ones that have been on the market for years and are still trying, and then combine those with the sellers that sold after many years. If they were all in one room for you to interview, do you think they would tell you the market is great? Would they tell you to expect 92% of asking price in 75 days? I think not. It's not enough to understand supply and demand and proper pricing, you also have to reach the entirety of the pool of prospective buyers for your home. When you interview agents for the job of selling your home, tell them you do not want to discuss valuation until AFTER you are sure they are fit for the job. Specifically, what are they going to do to earn their fee? How are they going to market your home? Before you think you can take this lightly, consider that 70% of the properties shown above were listed with just six companies. If you make the same hiring decision as those sellers who came before you, perhaps you should anticipate getting the same results yourself. But you do not have to suffer their same fate. Luxury homes are selling, and an aggressive marketing plan, combined with proper pricing, can get your luxury home sold within a reasonable time frame and at a price you will be prepared to receive.